The photo above was taken in the summer of 2009 for use on the 2010 annual fire prevention calendar. 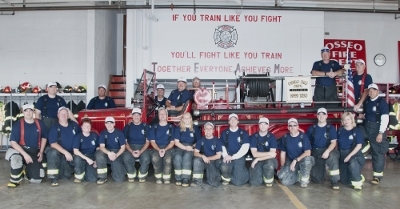 Pictured in the back row from left: Garrett Erdman, Jesse Phenow, Steve Eiden, Earl Von Ende, Jeff Weiss, Bob Harff, Mike Sable, Jon Thibodeau; front row from left: Tom Gaspard, Pat McGrane, Patty Lyden, John Hegstrand, Chuck Gisvold, Dan Phenow, Stephanie Fourniea, Mark Lynde, Erin Lynne, Derick Haug, Don Peterson, Mike Phenow, Beth Thibodeau; not pictured: Barry Anderson, Gary Current, Bill Evans, Tom Phenow, Derek Wills. The fire department has a chain of command that allows it to respond effectively to any emergency situation and to efficiently manage the many administrative tasks that the department is faced with daily. The rest of the department consists of firefighters, approximately 20 in addition to those listed above. All firefighters are trained to the level of at least Firefighter I and First Responder. 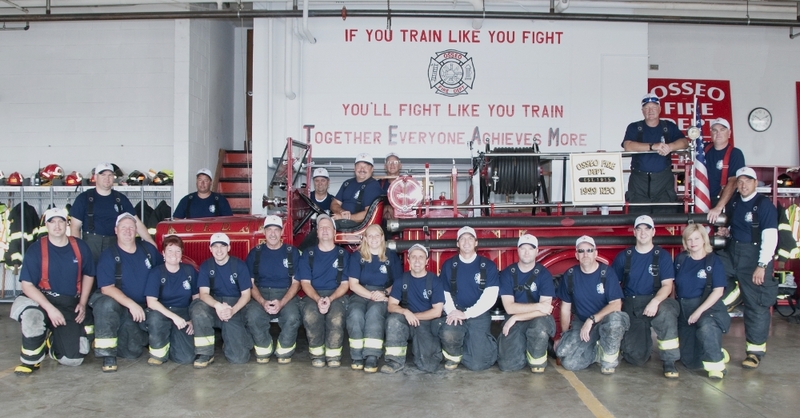 Many are also trained to Firefighter II and beyond and many also to EMT (emergency medical technician) and beyond. Many attend one or more of the various state fire schools held throughout the state each year. 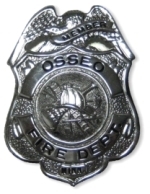 Firefighters are required to attend refreshers for both their firefighter and medical certification level in order to keep their certification. Firefighters are tested regularly for general health and SCBA seal fit in order to be cleared to perform the demanding tasks encountered on-scene. The department holds drills one or two times per month, depending on the month. These are generally held the second and fourth Thursdays of the month. They are normally held at 7:00 pm at the fire station or some other location in town. Occasionally, they will be held at a location out of town when drill is being held at a training tower or in conjunction with a neighboring department in order to better coordinate inter-department operations and make the most efficient use of resources. Meetings are generally held the first Thursday of the month in the department meeting room at 8:00 pm. Here, the many administrative tasks faced by the department are discussed, recorded, and assigned. Officer meetings are held the third Thursday of the month.